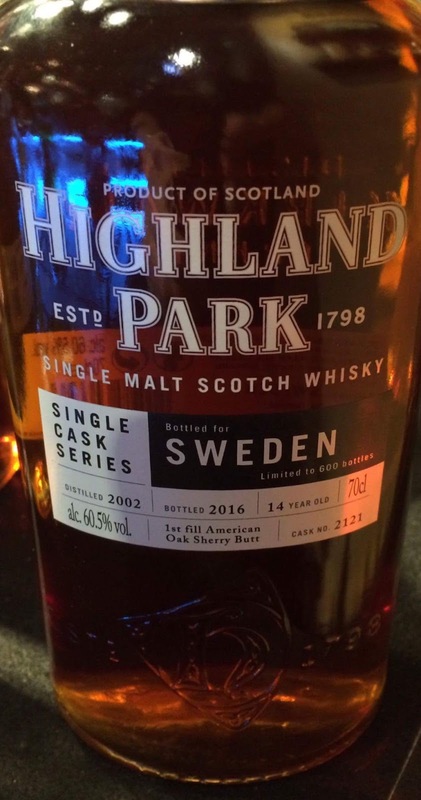 Highland Park Single Cask 6403 and 2121 for Sweden only!!! Dear friends and followers, today, to my big surprise, I received a mystery package from a mystery sender! 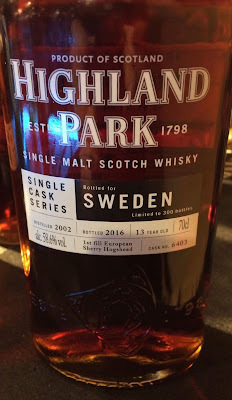 I was indescribably happy when I discovered that the package contained the two coming releases of Single Cask Highland Park, for Sweden only! It also contained a nice little info-card. 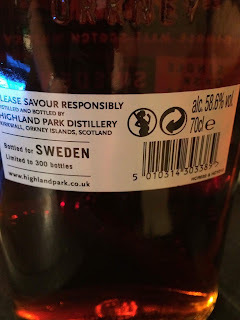 When I recently had the great honor and pleasure to visit Highland Park distillery (read all about it here) I was told about these two single casks and that they would soon be released, so as you all can understand it is a great satisfaction to finally be able to try them, and to try them before they are being released! As you all can imagine, given that they are both first fill sherry (and oloroso I assume), it will be very interesting indeed to be able to compare the differences between european oak and american oak. Anyways, both of them will be released at the state monopoly on the 20th of october and we can expect them to be sold out within seconds! Ok, let's begin with cask 6403 since that has the lowest ABV of the two! Oh my God (or Thor)! (yelling it straight out sitting here all by myself). Begins quite brown-sugary sweet actually, but then huge wawes of something like ”peated sherry” takes over very quickly! After that everything gets very dry indeed, very quickly. I feel vanilla fudge-cubes, a very interesting mix of mint and evident peat (never felt that mix before…), as well as a mix of leather and cold coffee… Wow, the dryness surely jumps up on you. 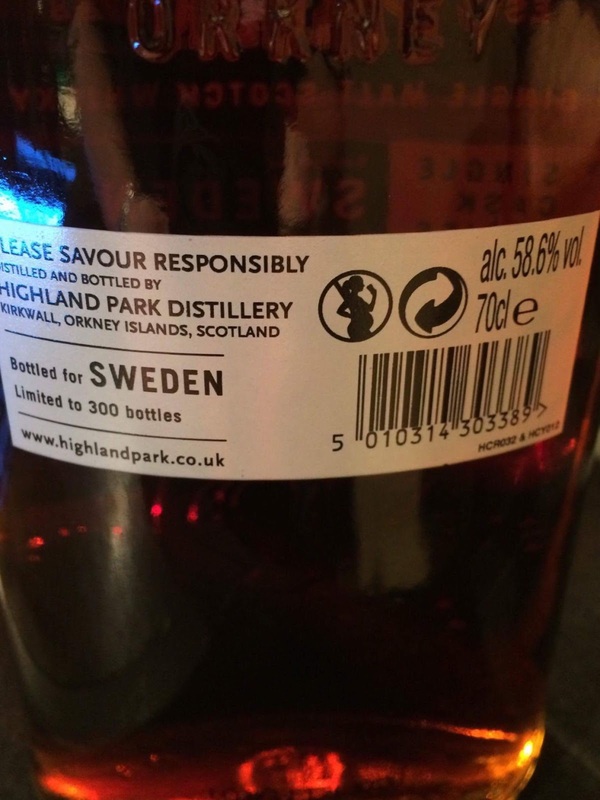 People, this dram should righteously be described as very, very complex! Once again, completely different than the previous one! The differences between the european oak in the previous one and the american oak in this one is to say the least, striking! This one also begins sweet but not at all in the sugar-y way, rather in the vanilla way, and that’s vanilla with a big V. Also the vanilla is kind of burnt, and kind of moves towards coffe with very much milk in it, or actually something like coffee liqueur. Other than that we also have so much fruit in this one, such as pear, dried peach and white raisins. 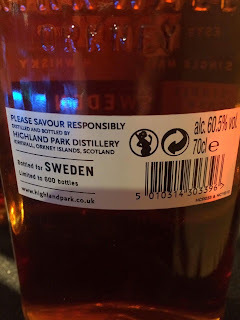 This one is also very dry but here the dryness does not hit you that early, it is rather dry predominantly in the aftertaste, moving towards a mix of heather honey, quite bitter liquorice and most of all dry peat mingling with something like earl grey tea.